Independent Forging and Alloys managing director Andy McGuiness in the forge. A Sheffield forgings firm has received £8.5m from an investment company to ‘enhance its manufacturing and testing capabilities’. Independent Forgings and Alloys has struck a deal with BGF, an ‘active and influential investor’ which makes long-term equity investments in return for a minority stake. The deal comes six months after Abbey Forgings in Wadsley Bridge won permission for a £14m new forge set to create 55 jobs. IFA, based on Livesey Street near Owlerton stadium, makes open-die components for the aerospace, nuclear, power generation, marine and oil and gas sectors. Forging has taken place on the site since 1587. 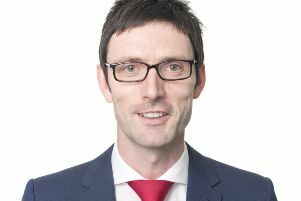 Chief executive Andy McGuinness was part of the original team that acquired IFA in 2001 from Doncasters Group. He said: “Forging has a long history in Sheffield but rather than being in decline, the uses and applications of our open-die products continue to grow. “The market offers attractive opportunities and, because of our focus on quality and innovation, we are well placed to capitalise on these opportunities. IFA exports to 15 countries, turnover is £20m and it employs 150. Using materials such as nickel alloy, titanium, stainless steel and carbon alloys, the company primarily forges rings and bars. It opened a test house in 2016 following a £500,000 investment. Independent from the main company, it certifies products to show strict standards are being met. IFA won a Queen’s Award for export in 2008 and is a Made in Sheffield licence holder. BGF says it is a minority, non-controlling equity partner with a patient outlook, based on shared, goals with the management teams it backs.